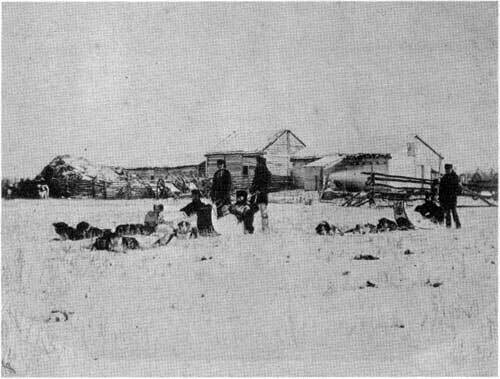 The increasing interest in the North West Territories and the Red River Settlement shown by the Province of Canada in the 1850s led in 1857 to the organization of an expedition to examine the country between Lake Superior and Red River with a view to establishing an emigrant route and opening communication with the Red River Settlement. 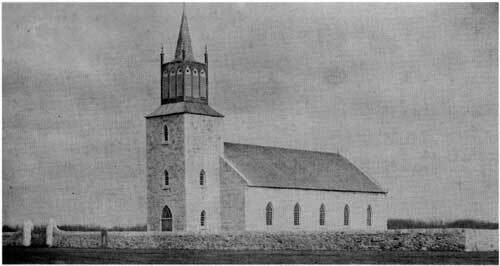 The following year the investigation was extended by the work of the Assiniboine and Saskatchewan Exploring Expedition which examined the country farther west. 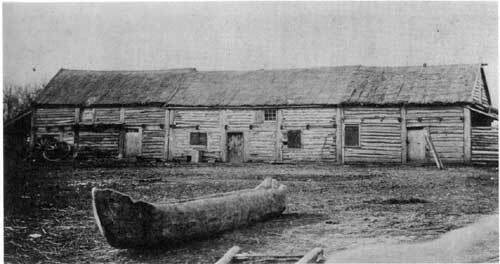 The expedition of 1858 under Henry Yule Hind was the first in Canada to make use of photography. 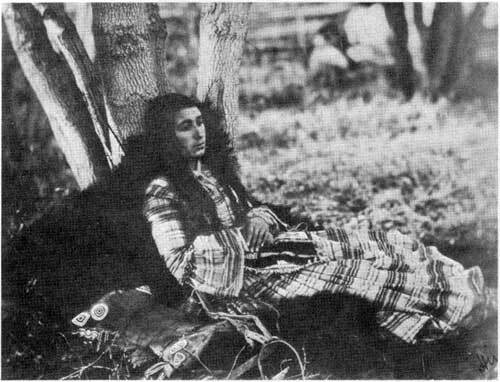 The photographer appointed to the party was Humphrey Lloyd Hime, (1833-1903) who had come to Canada four years earlier and was a partner in the Toronto firm of Armstrong, Beere & Hime, photographers. 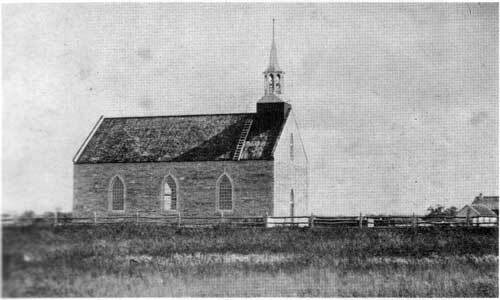 In 1860 Hime abandoned the profession of photography to organize the H. L. Hime & Co., stockbrokers, real estate and insurance but during his short career as a photographer he produced some of the finest early photographs in Canada. 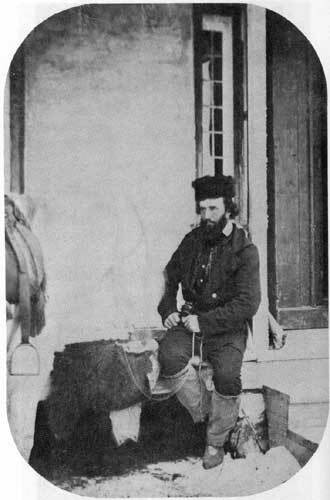 The official report of the expedition of 1858 contains a list of thirty-three of his photographs taken on the expedition. This list is not the extent of Hime's work in the west. 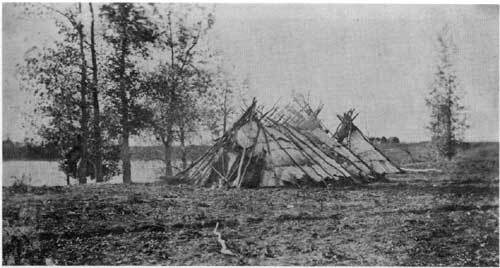 A box of negatives of scenes on the Assiniboine, Souris and Qu'Appelle rivers was left in the Red River Settlement and apparently lost. 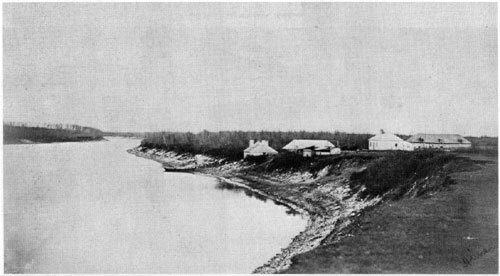 Other photographs, identified or alleged to be those of Hime but not included in the official list, are known to exist. 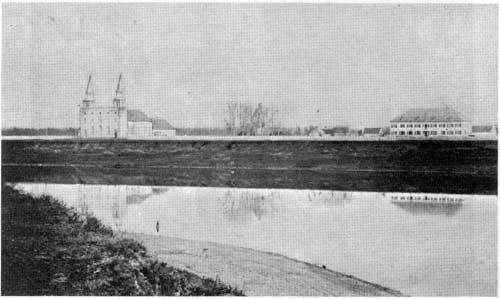 The photographs in this issue of the Pageant are from the set of prints in the Manitoba Archives. 1. 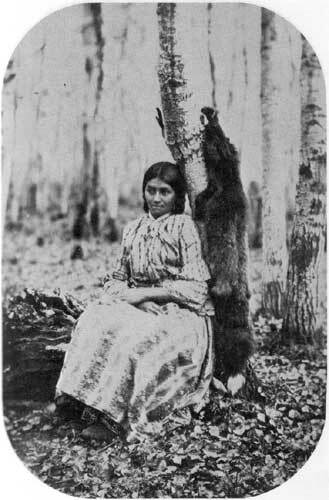 Ralph Greenhill, Early Photography in Canada. Oxford University Press, Toronto, 1965, p.50. 3. 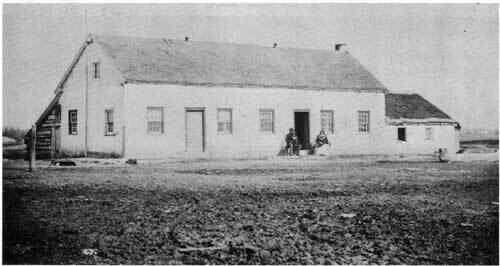 Henry Yule Hind, North-West Territory: Reports of Progress: together with the preliminary and general report on the Assiniboine and Saskatchewan exploring expedition. 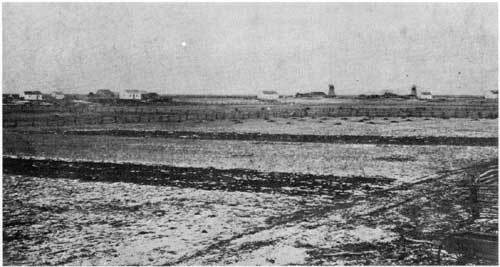 London, 1860, p. 5. 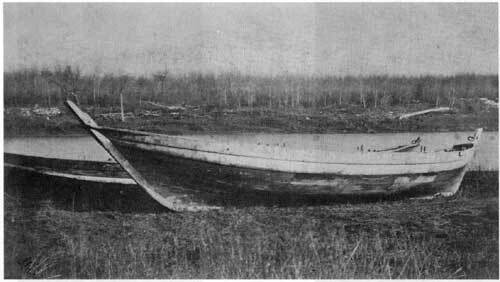 See also, Henry Yule Hind, Narrative of The Canadian Red River Exploring Expedition of 1857 and the Saskatchewan and Exploring Expedition of 1858. London, 1860, 2 vols. 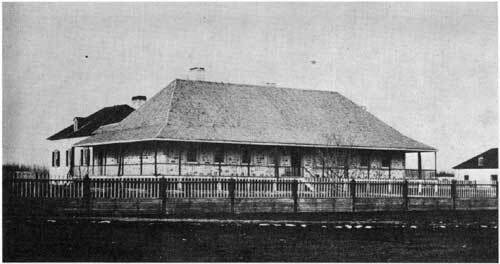 Bishop's Court, Residence of the Anglican Bishop of Rupert's Land. 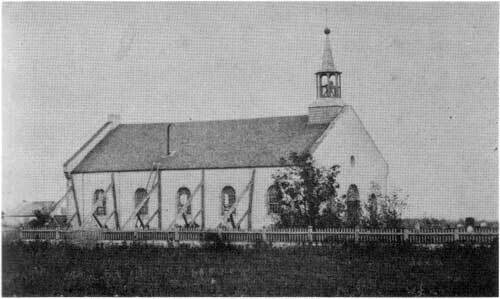 St. Boniface Cathedral and Grey Nuns' Home. 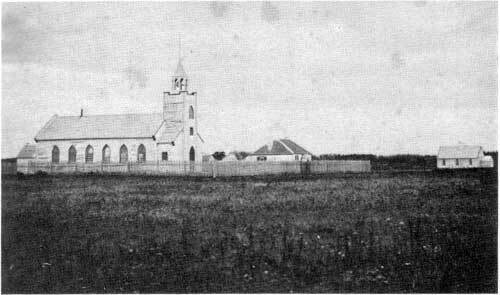 St. Paul's Anglican Church, Parsonage, School, Middlechurch. 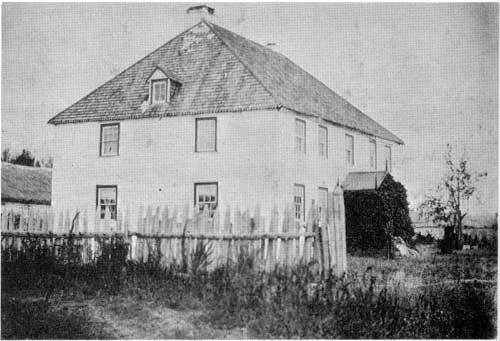 St. Andrew's Anglican Church Parsonage. 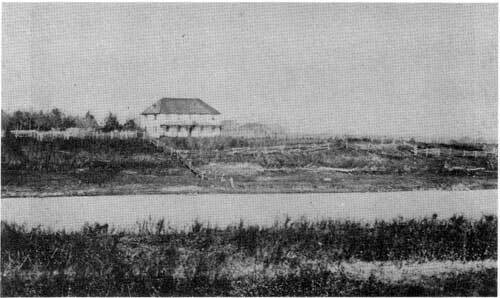 Home of A. G. B. Bannatyne. 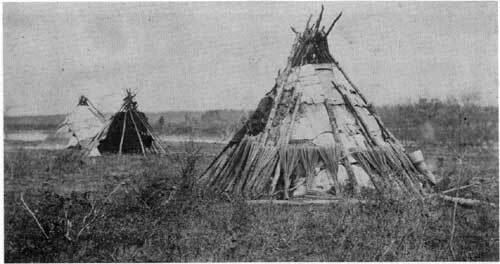 Ojibway Indian Tents, along the Red River, Middlechurch. 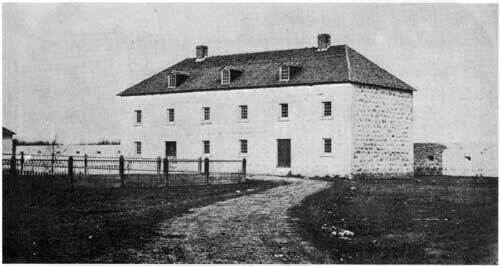 The Governor's Home, Lower Fort Garry. 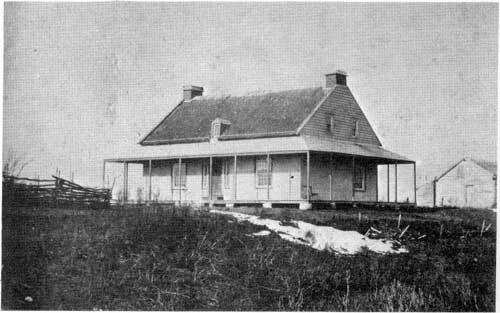 Fur House, Lower Fort Garry. 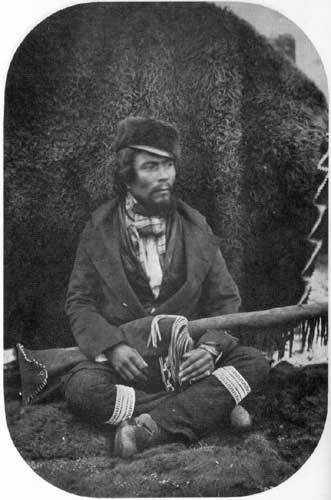 John McKay, Cree Half-Breed Guide to H. Y. Hind. 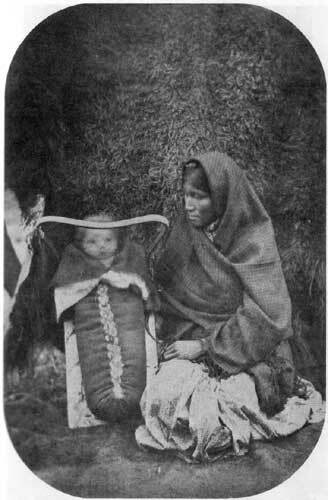 An Ojibway Indian Mother with Child. 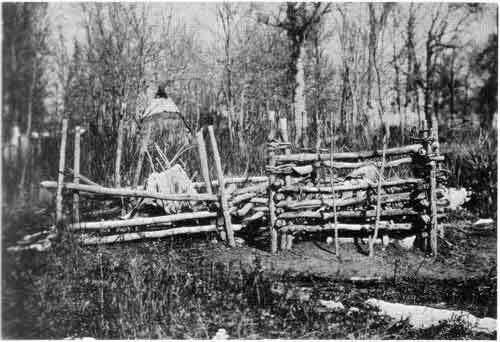 Indian Graves, covered with Birch Bark. 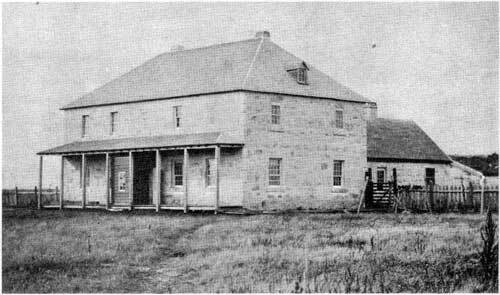 Headquarters of the 1858 Expedition, Middlechurch. 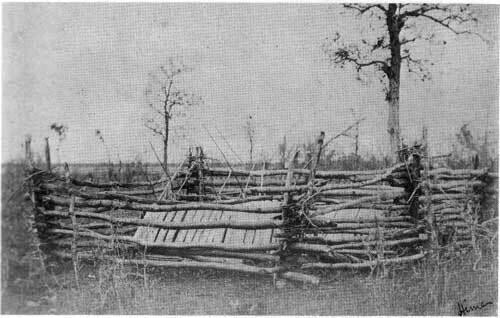 Residence of the late Chief Factor Bird, Middlechurch. Farm Homes and Windmills, Middlechurch. 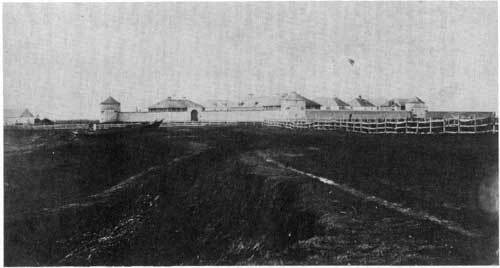 The only photo known to exist of some of the buildings which stood to the south outside the walls of Lower Fort Garry.